Where were police after BB gun was fired at couple’s window? A couple whose bedroom window was smashed when a BB gun was fired at their home felt the police should have visited. 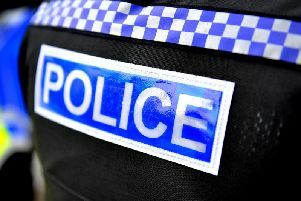 No officers were sent to Marie and John O’Sullivan’s home in Ringmer Road, Worthing, after the ordeal on Tuesday, May 15. John said: “I wanted a bit of reassurance that they were taking it seriously. John and Marie had just got back from a holiday in Chessington with their two daughters when the incident happened. Marie was with her daughters in the living room when they heard a loud smashing noise upstairs at around 12.40pm. The window of their bedroom was completely cracked, with a bullet-shaped hole in it. John, who was in the garden, called 101 and was on the phone for half an hour. He found a ball bearing the size of a large pea in the grass. Sussex Police said the incident was ‘recorded and notified to local officers for awareness’ and ‘as there were no viable lines of enquiry, police attendance or further action was not possible’. The couple believe it was a random shooting by a young person cycling past, but they fear it may happen again. Their youngest daughter, nine, was ‘really shaken up’ by the incident and asked to move house.